The Howard Miller J.H. 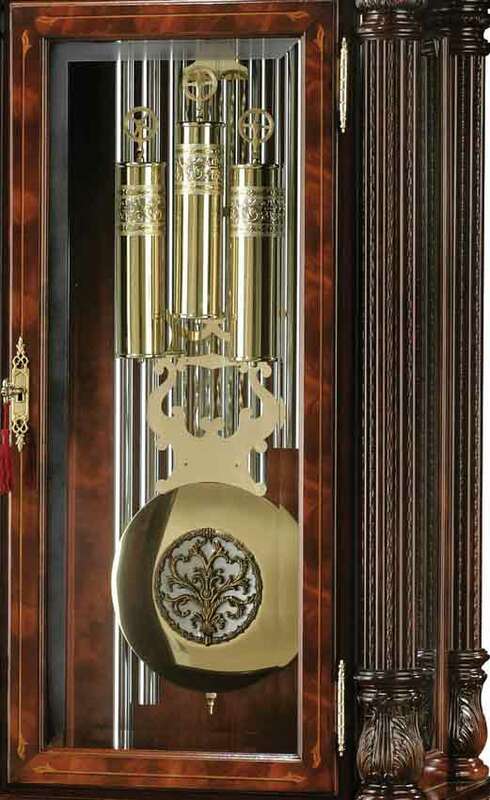 Miller 611-031 Tubular Chime Grandfather Clock is an elegant Limited Edition floor clock, designed by Chris Bergelin featuring sixteen different species of hardwoods and veneers. These are Cherry, Crotch Figured Mahogany, Russian Walnut Burl, Movingue, Maple, Ebony, Padauk, Silver Gum, Black Cherry, Magnolia, Beech, Avodire, Anegre, Pearwood, English Sycamore, and Boxwood. Some of these species are very rare. The beautiful swan neck pediment is crowned with three carved finials, two carved rosettes, and a carved finial shell at the center. Also on the pediment are bookmatched Russian Walnut Burl with floral inlays framed with a Movingue border with Ebony and Maple accent lines. The floral inlays include the species listed above. The cast center disk is numbered and features a removable engraving plate for personal inscriptions. "Limited Edition" is inscribed across the hemispheres. The dial also includes a special brass finished moon phase. Bookmatched Russian Walnut Burl with floral inlays framed with a Movingue border with Ebony and Maple accent lines on the front and sides. 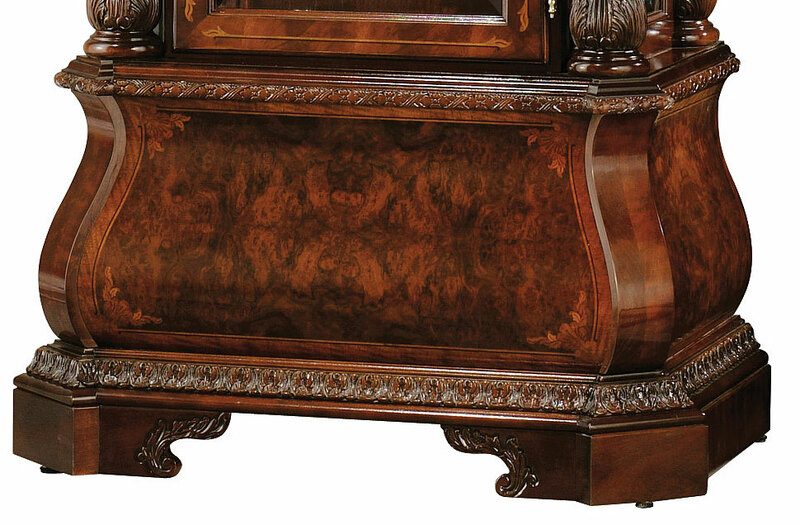 The floral inlays include the rare wood species listed above. Cable-driven, Tubular Chime Triple Melody Movement. 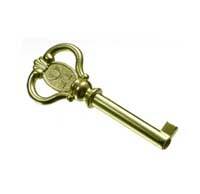 Kieninger movement offers automatic nighttime chime shut-off option and Sequential chime progressive melody rotation. 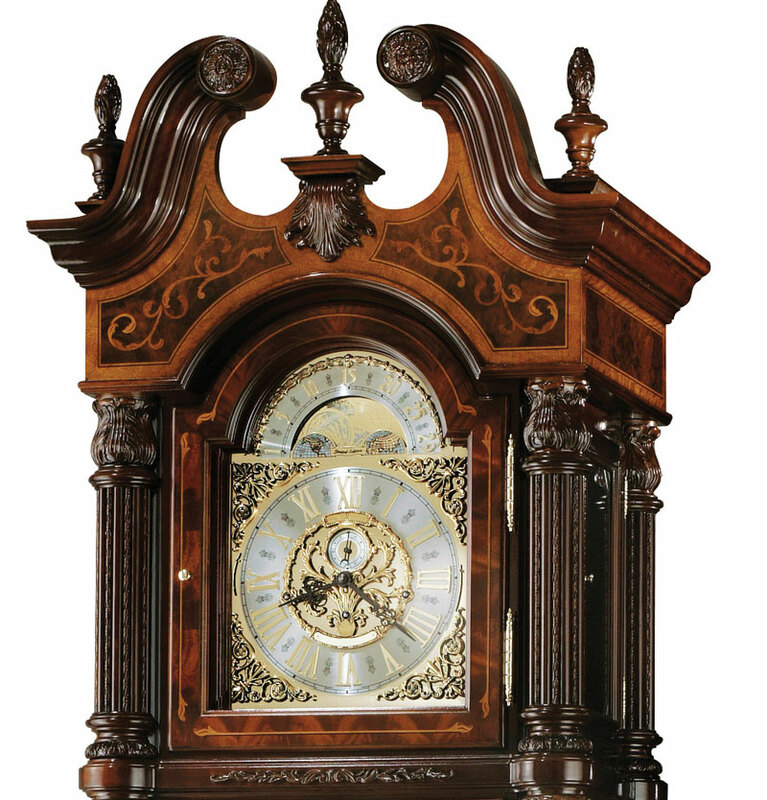 Size: H. 94-1/2" W. 31" D. 20-3/4"
Clocks for sale at The Clock Depot including the 611-031 at discount prices.